Sign up for the Fire Pit newsletter and receive the latest fire-side news. It's free! Stopping Internet Trolls - It's Easy! The town of Meredith, NH, where I reside, is considering installing one or more roundabouts in the center of town. It's my belief the town Selectmen feel the roundabouts will relieve the heavy traffic that descends on the center of town during the summer months, especially on Friday and Sunday afternoons. This heavy traffic is created by non full-time residents. Some are tourists and some are people from down south who come to the Lakes Region of NH for the weekends. I'm a full-time syndicated newspaper columnist and always try to look at facts when it comes to a problem. Let's consider some facts. I moved to Meredith, NH in 2008. Prior to that I was a Councilman in Amberley Village, Ohio. A Councilman in OH is the same as a Selectman in NH. I was chair of the Roads committee in my OH village when I was a Councilman. I've chaired meetings with traffic engineers when we were considering a roundabout at the intersection of Ridge Road and the Ronald Reagan Highway in Amberley Village, OH. When you're in a small committee meeting like this, the engineers tend to let their hair down especially when the public rarely attends. It's in situations like this where you get the real lowdown. The traffic engineers stated in my meetings that ALL ROADS are designed for average or slightly above-average traffic flow. ALL ROADS and intersections WILL BECOME CONGESTED in periods of heavy traffic. That's a fact. Here's an extreme example. Interstate 93 in Concord, NH is just two lanes north and south. Most of the time, it's rarely backed up with traffic, even on Friday afternoons in rush hour. But if you travel this road on summer weekends and in October it can become a parking lot as too many people try to use it at the SAME TIME to get north or south. You could widen the interstate highway to five lanes in each direction to handle this heavy flow, but 99% of the time it would be a waste of real estate and paving material. Proof of the traffic engineers' statements is right here in our own state. All you have to do is be at the enormous roundabout on the west side of Portsmouth, NH any morning or afternoon. I've been stuck in a lane of traffic trying to get into that roundabout on the eastbound leg of Route 16 as it enters the roundabout. Once it took me 15 minutes to get into the roundabout where drivers thought they were at the Bristol Motor Speedway. In those situations, desperate drivers tend to take chances increasing the likelihood of traffic accidents. Routes 3 and 25 through Meredith to the Mt. Washington Valley and the northern parts of Lake Winnipesaukee don't have viable alternative routes. Here's the bottom line if you look at the above facts. The traffic congestion during periods of peak flow will be the same or worse with the roundabouts. All you have to have is one or two timid tourists who are NOT FAMILIAR with the merging and aggressive tactics you need to use in periods of HEAVY TRAFFIC to transform one or more approaches into the roundabout into GRIDLOCK. If you've never been parked behind a person afraid to enter a roundabout, you'll forever remember it when it happens to you. It's very frustrating as they hold up ALL the traffic behind them. Aggressive driving increases in roundabouts in periods of heavy flow as impatient drivers force their way into the roundabout. If there's an accident in a one-lane roundabout, like the ones proposed for Meredith, the entire intersection becomes GRIDLOCKED. That does not happen in a regular cross intersection as cars can navigate around the accident. With the current computerized traffic signals at the intersection of Route 3 and 25, traffic flow through the intersections is handled as efficiently as possible. You normally don't have to wait but a few minutes before your traffic light turns green in your favor. The roundabouts will NOT relieve the seasonal congestion. Roundabouts do NOT guarantee smooth and consistent traffic flow from all incoming roads in heavy-traffic periods. See above. Pedestrians wanting to cross Route 3 and Route 25 now have safe crossing signals. It will be VERY DANGEROUS to cross a roundabout on foot and it will bring traffic in the roundabout to a screeching HALT as pedestrians have the right of way in NH - ALWAYS. One thing is for sure. If the roundabouts are designed like the one just south of the McDonald's restaurant in Meredith, NH, it will cause even MORE congestion since the diameter of that roundabout is too small. The small diameter allows fewer cars into the roundabout at one time and those in the roundabout travel SLOWLY to navigate the roundabout. The diameter of the current roundabout in Meredith was designed to CHOKE traffic and slow down cars and trucks. The fancy name used by planners is traffic calming. These roundabouts are currently being thrust upon communities by those in power who subscribe to planning produced by the United Nations of all places. Now let's consider modern technology in this discussion. Savvy travelers use smart phone and tablet apps to MINIMIZE travel time. 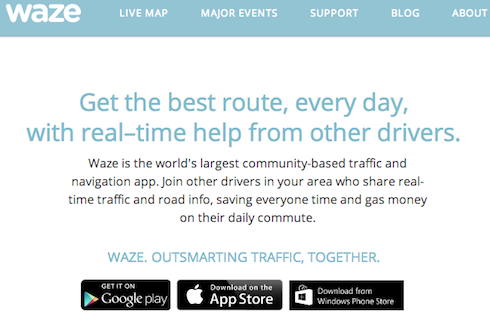 There are free apps like Waze and SigAlert that tell a traveler in REAL TIME the BEST alternative route. These apps are causing major traffic jams in residential and business districts all over the USA. Don't believe me? Just go to Bing.com and search for yourself. What do you think this means for the shortcut down Waukewan Street and Main Street in downtown Meredith? It's already gridlocked on Fridays in the summer. That gridlock will now spread to other connecting roads through town as the apps will show other secondary routes to be open. Here's my prediction. Traffic on Route 3 passing the town docks will be gridlocked by people using the apps who are told to go through town on Main Street. The constant heavy traffic flow passing through town and into the roundabout from the west to continue on Route 25 towards Meredith Neck and points beyond will BLOCK all those people on Route 3 trying to enter the roundabout as they approach it from the south. Once a line of cars enters the roundabout because there's no traffic coming in from their left, this flow blocks all the other entrances into the single-lane roundabout. Don't think for a minute that all the harried tourists or part-time residents are going to be courteous drivers and allow each leg of the roundabout a chance to merge. You don't have to be a traffic engineer to understand or imagine this scenario. SUMMARY: The Meredith Roundabouts are not a great idea. They'll not solve the congestion problems. They may create WORSE secondary problems. They'll cost the citizens of Meredith MORE MONEY over time. Meredith will have to sign a legally binding contract with the Federal Government and give back all sorts of things in the future to get the money for the project. Get involved. Contact the Meredith Selectmen and Selectwomen now. Tell them to REJECT the Roundabouts. Why are roundabouts being considered for Meredith, NH? Can you prove beyond a reasonable doubt that the roundabouts WILL SIGNIFICANTLY relieve traffic congestion? If the answer is "Yes", can you present that documentation to me? 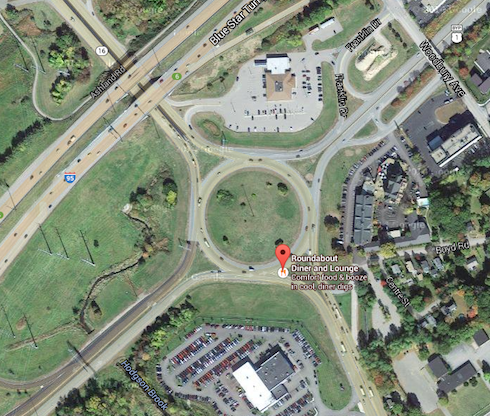 Who will pay to maintain any landscaping or hardscape improvements in the center of the roundabout? That landscaping or hardscape currently does not exist at the current intersections. 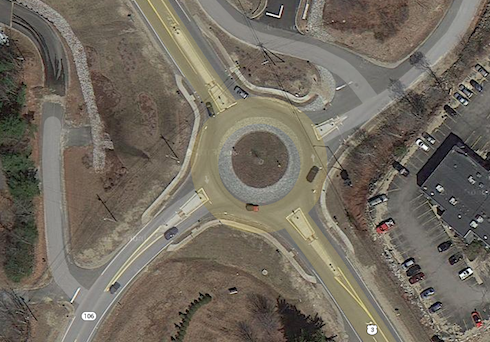 How will pedestrians safely navigate the roundabout at Route 3 and 25 the main intersection in Meredith? When pedestrians cross the roundabout or the legs leading out of the roundabout at Routes 3 and 25 and cars stop for them as required by law, how will that affect the traffic in the roundabout? Can you show me the grant documents from the Federal Government that would fund the roundabouts? Before you vote to approve the roundabouts, are you willing to go on record that you have you read and you understand ALL of the documents that would be part of a Federal grant to pay for the roundabouts? Most of the grant instruments are hundreds, if not thousands of pages of LEGALLY BINDING CONTRACTS with the Federal Government. Are you a student of World History? You should be. It gives you a great perspective on what's going on today. Look back in time to before the 1770-1780's. Prior to that time, regular people had few rights. Land was controlled by pharaohs, emperors, kings, queens, dukes and dictators. You lived on their land at their pleasure. You did what they said or you paid the price. Some of them were kind, some were despots. These rulers all had one thing in common. They had a ruling class of people under them that allowed them to stay in power. It was impossible for a ruler to rule thousands by him / herself. To keep the ruling class happy, the ruler would shower gifts and benefits onto them. This is simple reciprocity. If you were lucky enough to be in the ruling class, you got all sorts of goodies. Land grants were one of these things. Look back at the late 1600's and early 1700's here in the USA. The king of England, to reward those that kept him in power, gave away large tracts of land to his buddies. These members of the ruling class would then sell off tracts of the massive land grants to cash in. How does this relate to what's happening today? I maintain that ALL of the US Presidents are guilty of feathering the nests of their buddies that got them into office. It's the same mechanics that have happened all along. It's all about reciprocity. The campaign donors get guaranteed loans. Look at the Solyndra scandal. Look at all the *green energy* projects. Do you REALLY think that all those horrific windmills you see are for our benefit? No way. Those are payoffs to the people that put the leaders in power. My point is that none of this is new and that the only difference now is that the wealthy ruling class here in the USA are actively trying to turn back the hands of time. They don't like all the rights we were granted in the US Constitution. They're working hard each day to dismantle the US Constitution because they want you and I to have to ask their permission to do anything and everything. Then explain this. When was the last time you read a story about thousands of laws being repealed? You don't because it doesn't happen. EACH TIME A LOCAL, STATE OR FEDERAL LEGISLATOR PASSES A LAW MORE OF YOUR RIGHTS ARE TAKEN AWAY. Each time a new law is passed, you lose more of your freedom. That's a fact. Each time a new regulation is written by an invisible unelected bureaucrat, you lose MORE of your freedom. That's a fact. When will you finally throw a brick through a government office window during a protest? My guess is when you finally have NOTHING ELSE to lose. You need to get up off the couch and do something before you lose another one of your rights. You need to become a true activist. Posting things on Facebook doesn't count. Attending a local tea party meeting doesn't make you an activist. You need to go out and engage other people. You need to go out and spread the facts. You need to get ACTIVE. If you don't, I guarantee you that you or your children will become a REPEAT of history. The US Constitution will lie shredded under the rotunda of the US Capital while the Ruling Class dances on top of it. I started this blog in the late spring of 2009. But it didn't take long for a troll or two to stop by to mix things up. Continue reading "Stopping Internet Trolls - It's Easy!" As you might expect, I have different alerts set up to notify me when new information is published on the Internet. It might be articles, videos, just about anything. To set up an alert service on Bing, just type Bing News Alerts into Bing.com and follow the directions. Continue reading "Delphi Technique and NH Listens - You Judge"
Yesterday the new members of the 112th Congress of the United States of America were sworn into office. I was there in Washington DC to witness New Hampshire's newest Senator, Kelly Ayotte, take the hallowed oath of office. Continue reading "Fire Pit Constitution"